Val Jeffery (12) sets the ball for an offensive possession. Jeffery is fourth in the Horizon League in assists with 10.6 per game. Photos by Dustin Livesay/The Jambar. 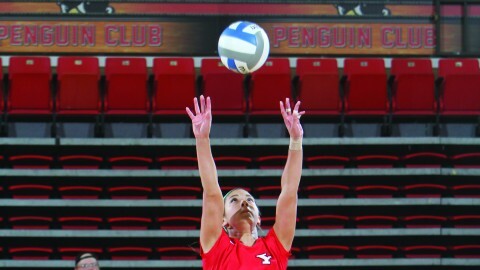 When junior Jessie Gerig received the news that a new setter would be joining the Youngstown State University Volleyball team she instantly went into competition mode — what she didn’t realize is that she wouldn’t only be gaining a competitor, but a best friend as well. According to Coach Mark Hardaway, acquiring Val Jeffery was just being in the right place at the right time. When Hardaway was contacted about a transfer, he wasn’t interested. “We felt Jessie Gerig could run our offense and Heather Splinter was coming in and we felt she could be back-up … like I said, we weren’t really looking for a setter,” Hardaway said. Once Hardaway heard Jeffery was the athlete in question, he changed his opinion. Jeffery originally committed to High Point University in North Carolina, but transferred after one season. 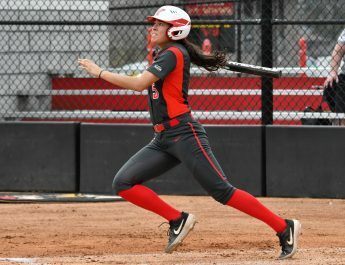 When Jeffery arrived for practice everybody was welcoming — as if she had been there at YSU all along. Hardaway feels that Jeffery is willing to learn which makes her easy to coach. According to Hardaway, Jeffery has improved the work ethic of the other players on his team as well. Jeffery was given the starting position. Hardaway said Jeffery and Gerig didn’t allow their competitive nature to affect their friendship. Jeffery and Gerig have built a connection that continues off the court. While the girls are best friends on the team, their faith and religious belief helped further their friendship. For Gerig, the memory she cherishes the most with Jeffery happened in the water instead of on the hardwood. 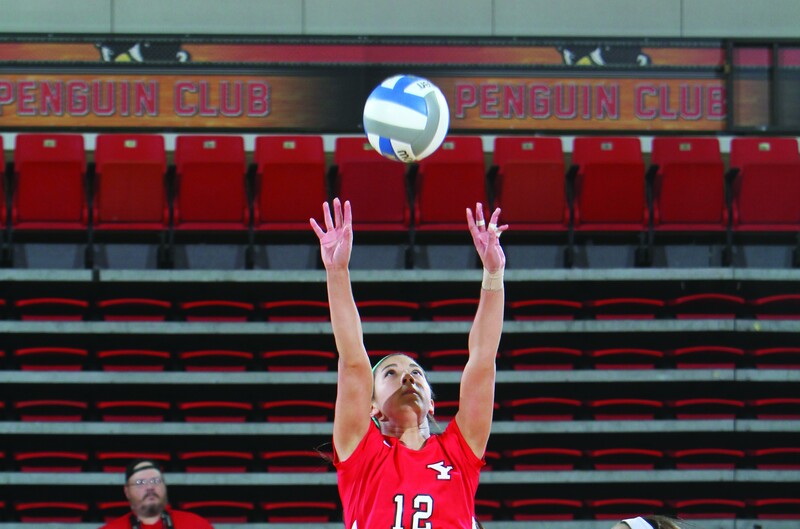 Jeffery looks forward to continuing her college career at YSU.